He uses this for every time he uses an acoustic (Or et-lease every time live seen him use an acoustic. It can be seen at 1:04. He also uses a mxr smart gate for songs like everlong but i cant find any evidence of this. Moving on to his acoustic guitar, there is a Screeching Halt installed on the soundhole. You get a good glimps of the Screeching Halt at around 0:26 in the source video. Ben uses this to prevent feedback and get a clearer sound. On this picture a Planet Waves Screeching Halt can be spotted inside the soundhole of Cahoone's J-45. 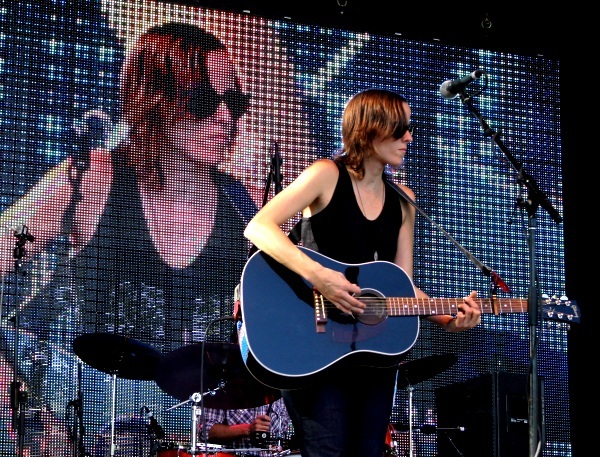 In this 2015 Brooklyn Hall concert photo, the Planet Waves Screeching Halt can be seen on Finn's Gibson J-45. In this photo, Cester is visible playing his Maton SRS808, which has the Planet Waves Screeching Halt Soundhole Cover in it. 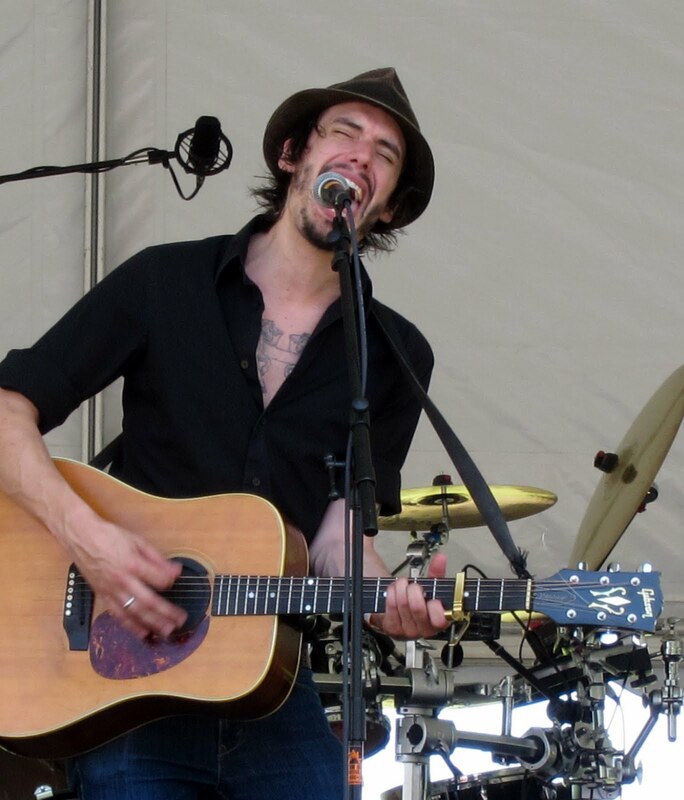 On this picture Cory Chisel can be seen playing his guitar with a Planet Waves Screeching Halt in the soundhole. This is great for playing live with when you plug an electro acoustic into an amp, you don't get any feedback which is great if you play live. This is used a lot by Dave Grohl (Foo Fighters) when he does acoustic songs. This works very similar to a gate pedal on an electric guitar. Forget about that noisy and annoying feedback. Just put (carefully) this item, and go. As known, it will reduce some high frequencies, but nothing that cannot be fixed with some EQ arrangements. I use it in the SJ-200 when its plugged in it does its job well.